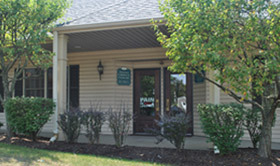 We are proud to say that we have been delivering chiropractic care to patients in Butler and Beaver for over 10 years. Welcome to our Butler office. At Advantage Chiropractic Centers our primary goal is to relieve your pain. But many people need help with more than just pain relief. We also help patients with weight loss, diet and nutritional counseling, core strengthening and exercise programs, lifestyle changes, and more. Take the first step towards relief by calling our Butler office today and making an appointment to discuss your health goals.